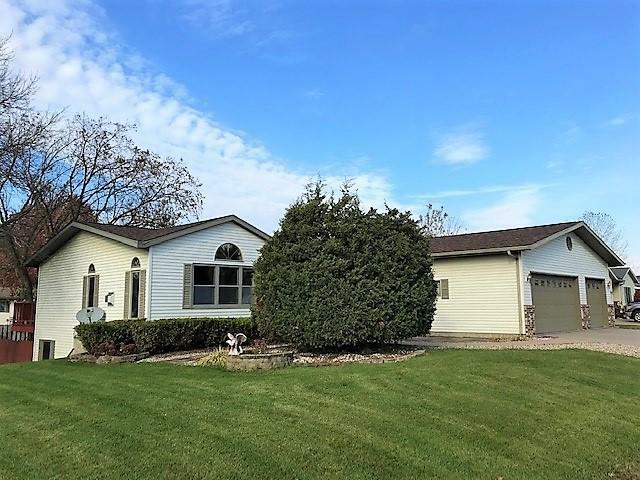 PRISTINE 4 BR RANCH! EXCELLENT FOR ENTERTAINING! Sparkling ranch with gleaming oak hardwood floors throughout main! Vaulted ceiling, gas fireplace, large kitchen & dining, stainless steel appliances, main floor laundry! Lower level has lots of natural light and is finished w/huge built-in bar, storage room, 4th BR & 3rd bath! Like to entertain a crowd? Check out the finished, heated, 3-car garage with glistening tile floor! Quiet cul-de-sac location, 12 x 16' shed, fenced yard! Sellers providing transferable home warranty!